This page will covers some of our readers' projects. Also, regular updates on member's projects can be found in the forum section. We thanks everybody for share. Hier gibt es Bilder der Mitglieder die momentan mit Restorationsarbeit beschäftigt sind. Im Forum gibt es viele Restorationsgeschichte an zu schauen. Herzlichen Dank für eure Neuhigkeiten. Ici vous trouvez des photos qui montrent les travaux de restoration. Dans le forum vous trouverez beaucoup des infos, n'hesitez pas de le visiter. Merci par avance de vos nouvelles. We congratulate one of our forum members for his latest project. 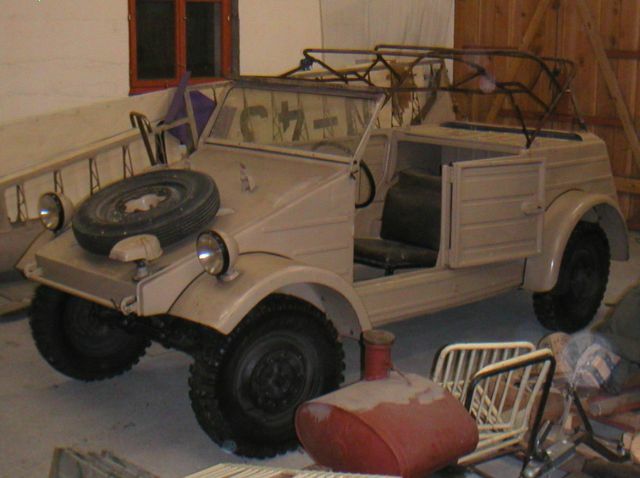 The 1944 Kübelwagen appears to be fairly original and is nearly complete. We are currently working on transferring the Kübel & Schwimmwagen lists of survivors to this new website, to be continued..